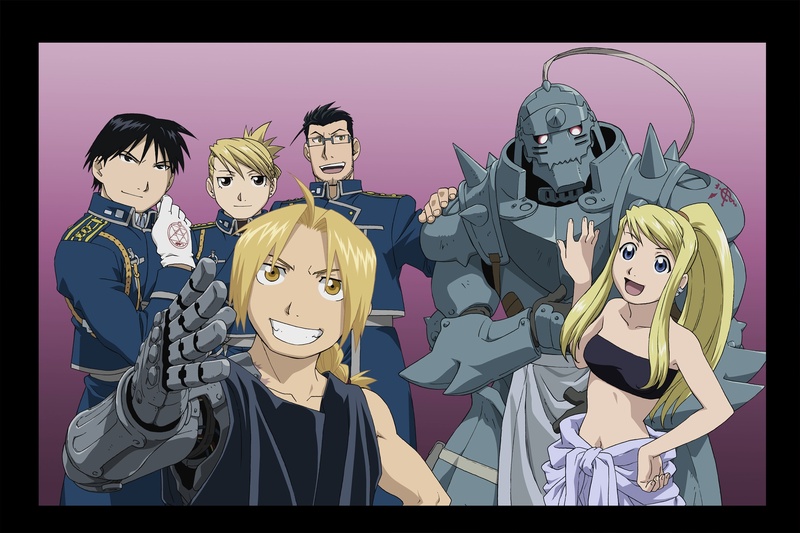 Fullmetal Alchemist: Brotherhood is an anime TV series directed by Yasuhiro Irie. 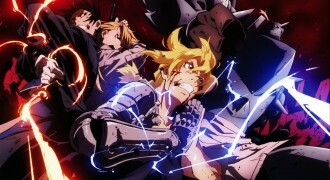 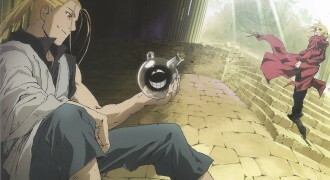 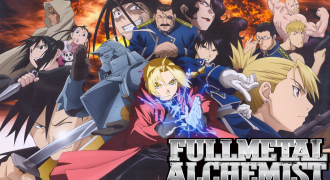 The TV series follows young Edward Elric who has an auto-mail(mechanical prosthetic) arm and leg and Alphonse Elric whose soul is bound to a suit of armor, on their adventure across Amestris to find a way of getting their bodies back and to further their understanding of alchemy and equivalent exchange. 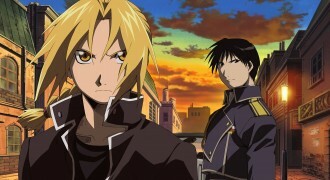 The TV series begins with the back story as to how these two young boys ended up the way they did. 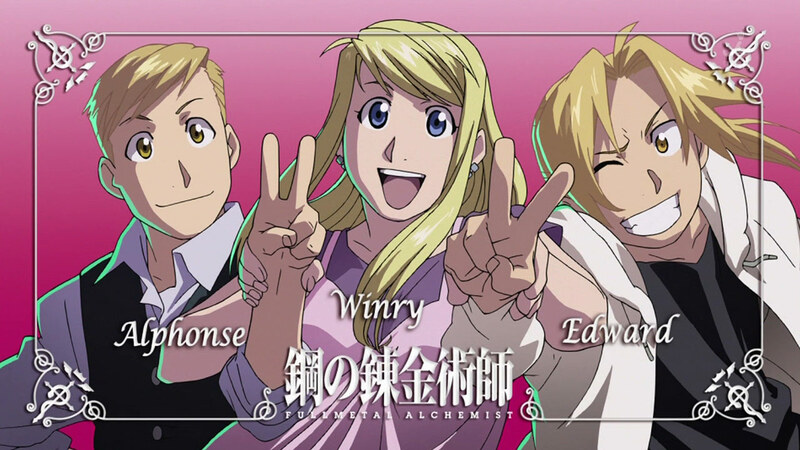 Both Ed and Alphonse were very skilled at alchemy even at a young age and being raised solely by their mother loved her very dearly, however their mother became ill and unfortunately passed. 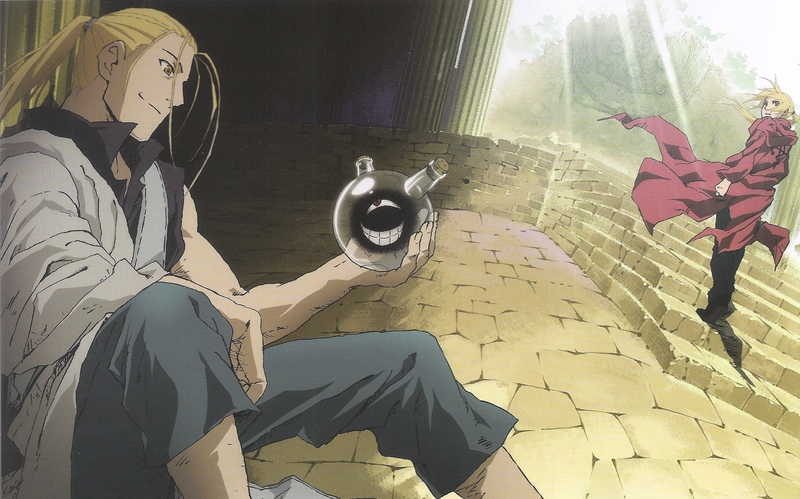 Ed and Alphonse then committed the ultimate taboo human transmutation in an effort to bring their mother back from the dead however unfortunately for them it is impossible to bring the dead back to life and they paid the ultimate price as “The Truth” took Alphonse’s body and Eds leg. 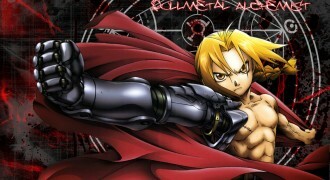 In a desperate attempt to get his brother back Ed managed to use alchemy to transmute his brothers soul and bind it to a suit of armor but at the loss of his arm to “The Truth”. 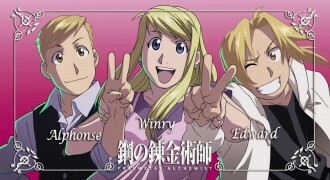 Will Ed and Alphonse get their bodies back? The theme song for Fullmetal Alchemist: Brotherhood was Again by Japanese composer Yui and although the song is primarily in Japanese, English subtitles are provided in the English dubbed versions of Fullmetal Alchemist: Brotherhood. 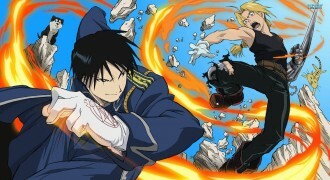 Here's the official Fullmetal Alchemist: Brotherhood movie trailer which you can watch for free. 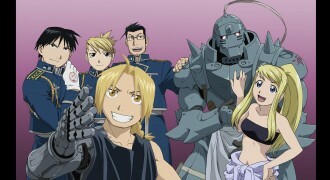 To watch the Fullmetal Alchemist: Brotherhood trailer just click play below and the movie trailer will start playing. 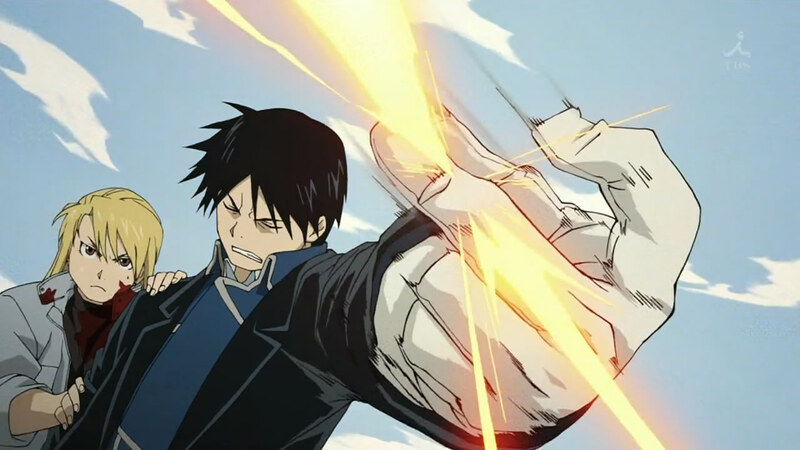 If you'd like to download the Fullmetal Alchemist: Brotherhood theme song or download Fullmetal Alchemist: Brotherhood trailer you've come to the right place. 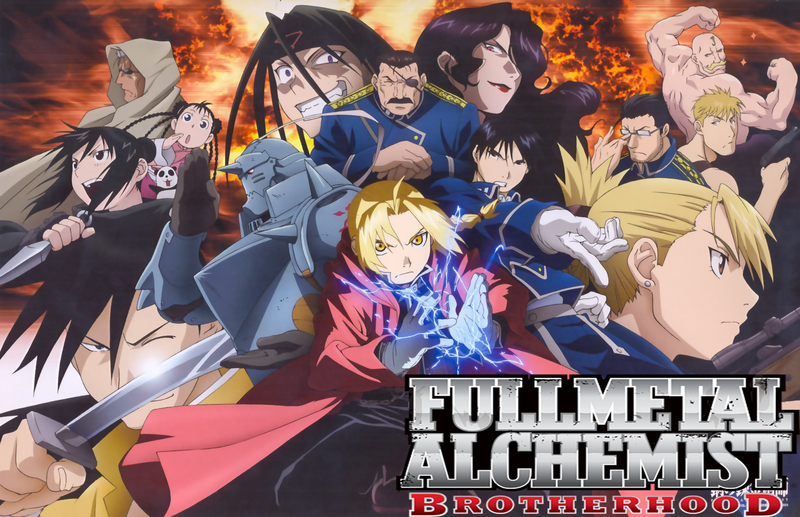 You'll need to use some video download software which you can find online which will let you download the Fullmetal Alchemist: Brotherhood theme song video in HD. 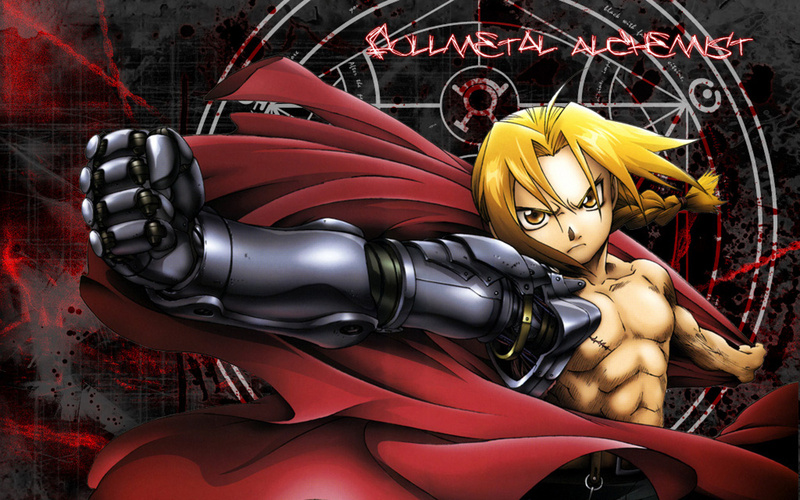 Here are some great Fullmetal Alchemist: Brotherhood pictures and Fullmetal Alchemist: Brotherhood desktop wallpapers. You can download any of these images to your computer by right-clicking on the picture you want and choosing "save image as". 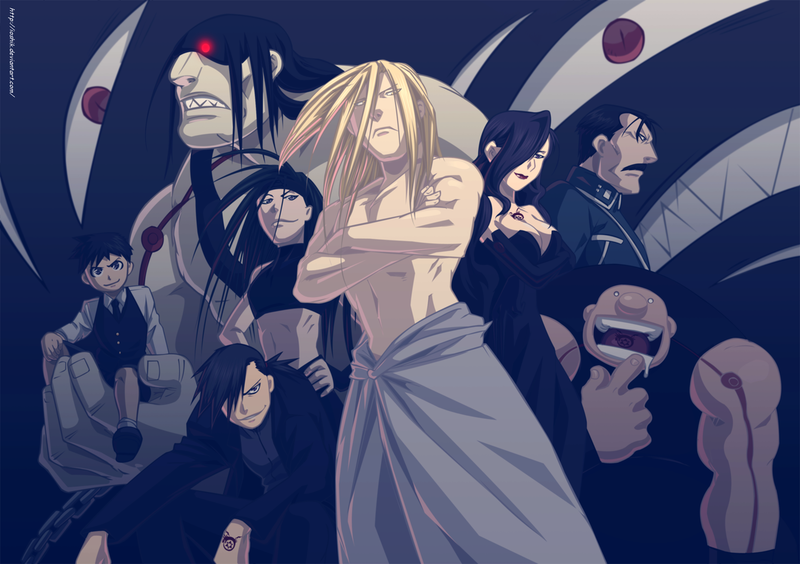 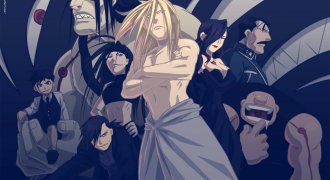 Once you've downloaded one of these Fullmetal Alchemist: Brotherhood images you can use it as your wallpaper etc. Here are the latest high resolution Fullmetal Alchemist: Brotherhood wallpapers which you can download right now.